Enjoy virtually unlimited RGB customization with 16.8 million color options, various lighting effects and brightness levels. Harmonize LEDs with Aura Sync, Mystic Light Sync or RGB Fusion Ready motherboard software. Connect up to 8 fans and 2 LED light strips into the included hub for maximum cooling potential, increased airflow and enhanced aesthetics. Adjust LED backlight brightness, colors, lighting effects and fan speeds instantly with the included 20-key remote controller. 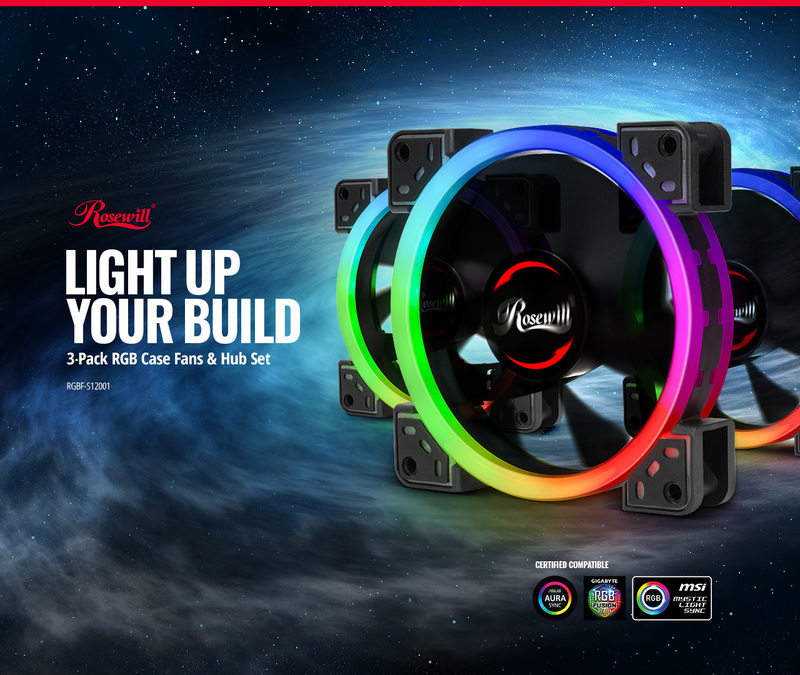 Optimize airflow and keep PC temperatures cool via low noise, increased lifespan rifle bearing dual ring RGB LED fans that are designed for excellent performance plus style. Pre-installed inside PRISM S500 and CULLINAN V500 case models.